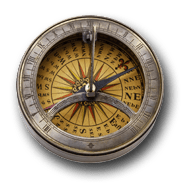 Ready for another adventure? The unique Congo River Mining experience allows you to discover buried treasure. 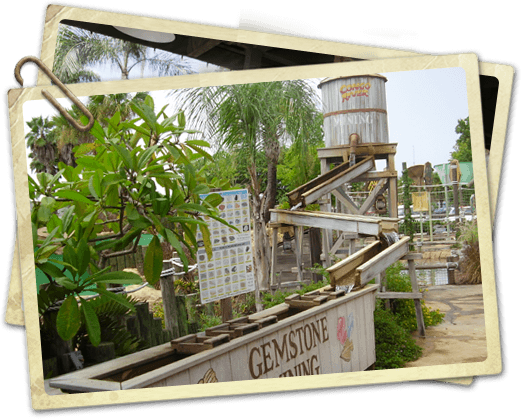 Gemstones, fossils, arrowheads and more are waiting for you. Grab a bag of mining materials and sift through it in the sluice. Be amazed as the dirt washes away and reveals gems and stones. 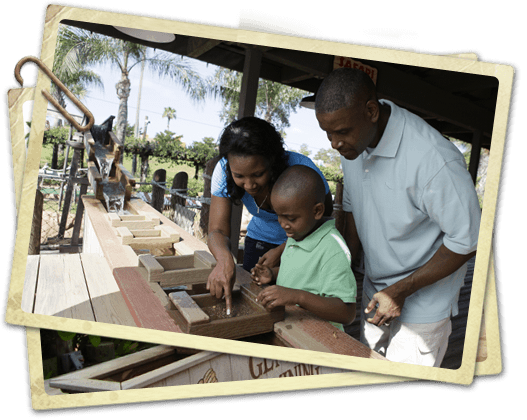 You�re guaranteed to leave with one-of-a-kind finds. 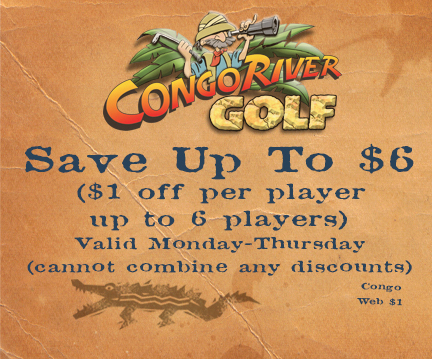 The fun never ends at Congo River Golf! 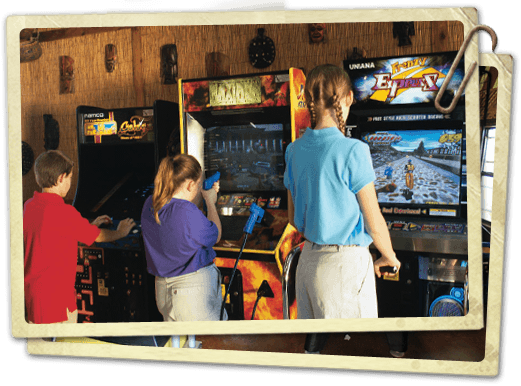 After an exciting round of miniature golf, take a break from the safari and challenge your skills in the arcade room. 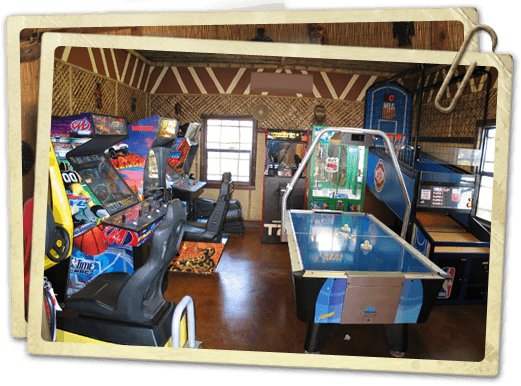 With interactive games like air hockey, basketball challenge, racing and more, there�s something for the whole family to enjoy.